It makes sense that what we put into our bodies by way of food and drink affects how our internal systems function. It also makes sense that putting good things in should increase average lifespan by helping the body maintain itself as nature has designed it to do. To that end, coffee is one of those good things. Numerous studies have shown that moderate coffee consumption contributes to longevity. One of the most recent studies was released in 2015. 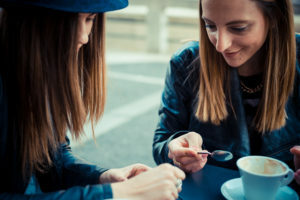 Conducted by researchers at the Harvard School of Public Health, the study explored the risk of mortality among both regular and non-coffee drinkers. The results were not surprising to people who have been following this idea for quite some time. In fact, the results were in line with several previous studies. For the record, the clinical definition of ‘mortality’ is simply the state of being dead. But for these kinds of studies, the idea is to look at dying at an age earlier than average. Understanding and addressing the causes of early mortality is what enables us to extend average life expectancy. 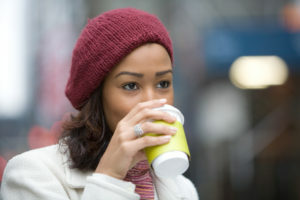 Getting back to coffee, the Harvard researchers discovered that people who drank 3 to 5 cups of coffee per day exhibited a 15% lower risk of mortality as compared to those who did not drink coffee at all. A previous study conducted by the National Institutes of Health showed that the risk of mortality among those who drink 4 to 6 cups per day was reduced anywhere from 10% to 16%. It is pretty clear that regular, moderate coffee consumption lowers the mortality risk significantly. But why? Researchers haven’t pinpointed a specific answer, but they do cite plenty of legitimate possibilities. For example, research has shown that some of the compounds in coffee can reduce the risk of both stroke and type II diabetes. Research has also shown that coffee contains more than 1,000 known compounds that could lower mortality, including compounds known as polyphenols. Polyphenols possess antioxidant properties; they also affect gene expression, control inflammation, regulate the liver and fat cells, reduce obesity, and even improve brain function and cognition. In short, the mechanics behind coffee adding to longevity are directly related to how compounds in the beverage affect body function. These compounds improve function and thereby reduce the risks of various kinds of diseases and genetic abnormalities that would typically contribute to mortality. It should be noted that research of this type is normally done with a focus on straight, black coffee. Adding sugar and various kinds of creamers can both mitigate some of the benefits and create problems of their own. Also note the idea of moderation. It is possible to overdo it with caffeine. Galaxie Coffee is proud to serve the greater New York area with the finest coffees, teas, and other beverages. For more information about having coffee service for your office, feel free to contact us at any time. There is a significant difference between having a coffee machine in your office and providing staff with professional coffee service from a company like Galaxie Coffee. A coffee service provides the equipment you need, along with regular deliveries of all your beverage products and supplies. When you choose Galaxie Coffee as your provider, you get more than just coffee. We also offer a selection of teas, cocoas, bottled beverages, and breakroom and janitorial supplies. Additionally, you get a level of service that is hard to match. There are absolutely no equipment hassles when you have coffee service through us. We provide late-model equipment that is meticulously maintained to the highest standards. If anything goes wrong, one phone call dispatches a technician to your office to either fix your equipment or replace it. Our full list of beverage products is too extensive to show here. Needless to say, we offer you and your staff plenty of variety. From the finest specialty coffees to single serve options, we have it all. Just take a look at the ‘Our Products’ heading here on our website. You’ll be amazed at the sheer volume of products we carry. You and your staff will save time and money by getting all of your break room needs from one source. We deliver them on a regular schedule, based on your needs. We have many office coffee solutions that vary according to your budget. After a brief meeting, we will provide a proposal that offers excellent choices within your financial parameters. There are some new single cup products that are less expensive than you think. The meeting will be worth your time!! Since a professional coffee service handles everything for you, your office will no longer need a designated ‘coffee person’. There will be no more disputes about who did it last week and whose turn it is to do it this week. Everyone in your office will have access to great coffee and other beverages without having to worry about assigning responsibility, blame, or both. There is something about sharing a cup of coffee, tea, espresso or cold brew that boosts office morale and promotes collaboration. Having a professional coffee service makes it better by guaranteeing you always have what you need on hand to keep staff happy. When they are happy, they are more productive. When they have great coffee, they spend more time talking and collaborating. Scientific studies have proven that regular, moderate coffee consumption boosts productivity at work. This suggests that having a coffee machine in your office is a great idea. As long as you’re going to provide coffee, why not do it through professional coffee service like Galaxie Coffee? We save you time, money, and all the hassle that comes with serving beverages in the office.